I am very excited to share a new video by 123 Andrés! Cosquillas is a fun, upbeat song from 123 Andrés’s new album Arriba Abajo. 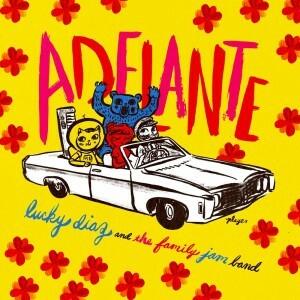 This song has a fun, upbeat, cumbia rhythm and style, with great vocals and clear singing. 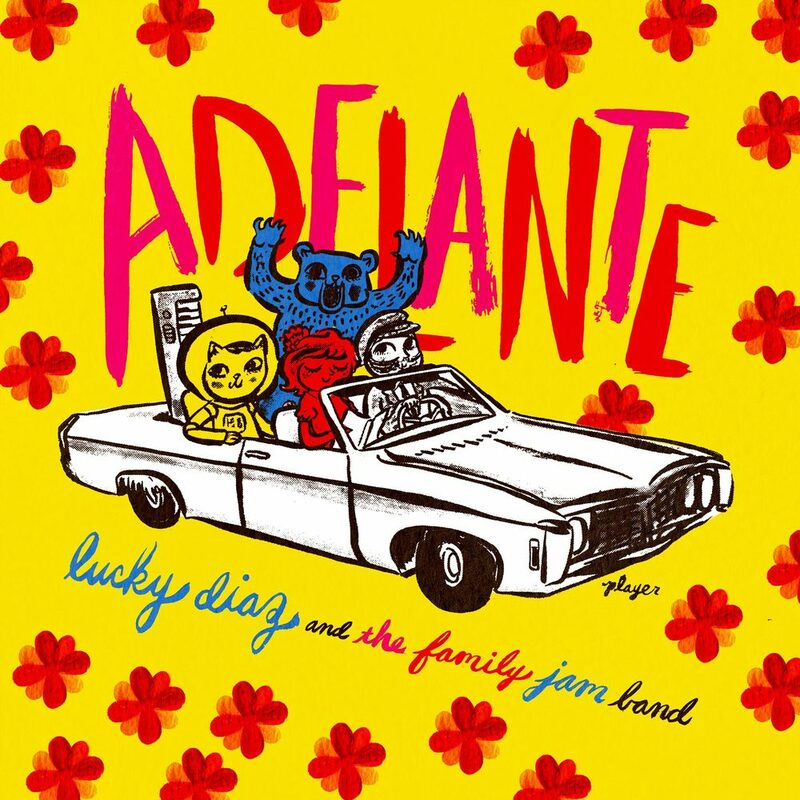 Perfect for kids learning Spanish, and it is on sale right now at Amazon, iTunes, and Bandcamp. 123 Andrés is a Latin Grammy nominated artist and entertainer. 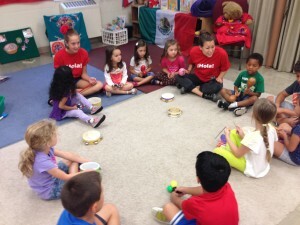 His music is an interactive celebration of Latin culture for kids and families. the range of rhythms and musical styles on his new album Arriba Abajo will inspire movement and motor skills as well! Exactly what I use to teach our little ones Spanish! I love the interactive nature of the songs and awesome beats and vocals! As a bilingual educator, these songs are exactly what I am looking for when adding interactive lessons to my classes. His songs focus on educational themes, but with fun rhythms and lyrics. I can see why Billboard magazine has hailed him ” A rockstar for little language learners”. It is definitely a great combination to make language learning fun for kids! 123 Andrés presents live concerts for children and families, and facilitates professional development seminars for educators, library professionals, and cultural arts institutions. He has some great concerts planned for the summer, so be sure to visit www.123andres.com for the latest details, and maybe you can catch him live! Be sure to Like 123 Andrés on Facebook! 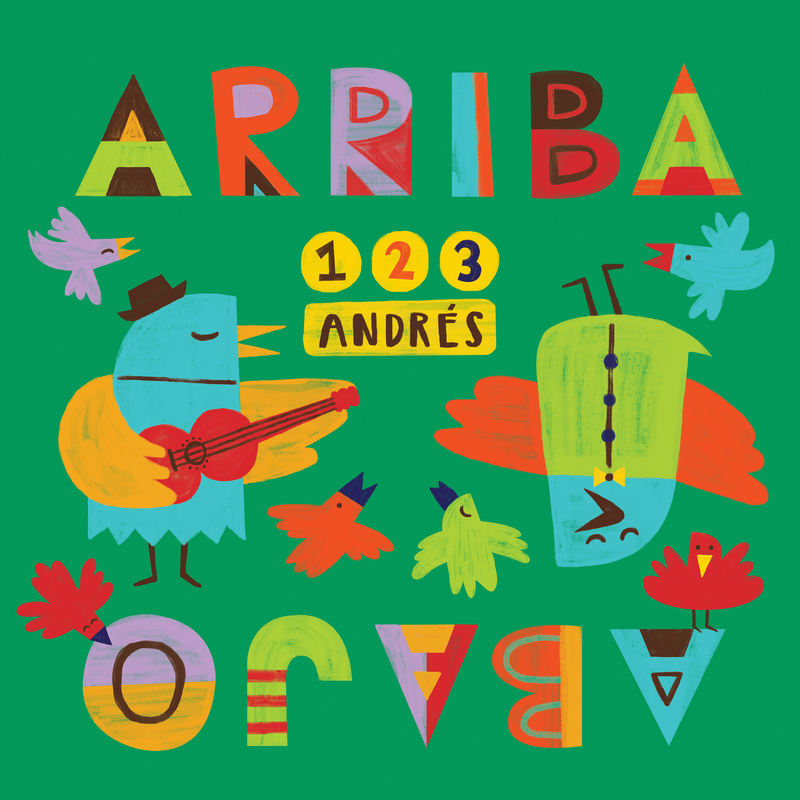 I would highly recommend adding Arriba Abajo to your music collection , as it is a bilingual learning treasure! I received a copy to review and I could not be more impressed! 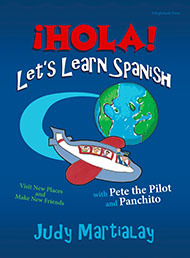 Kids Learn Spanish with Pete the Pilot! I had the pleasure of reading ¡HOLA! Let’s Learn Spanish by Judy Martialay. As a bilingual educator, I am always on the lookout for quality resources that enhance children’s learning and development of Spanish. This fun, interactive story is a great tool for elementary age children who are being exposed to the Spanish language. Throughout the story, kids will have a variety of language exposures through vocabulary, culture, and song. What I like most about this book is that there is an audio version that can be downloaded so parents and children can follow along with the story. 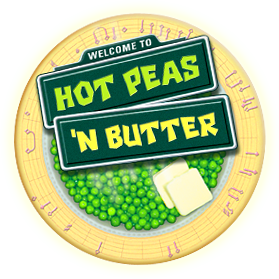 You can hear the audio directly on the website, and it can also be downloaded as a MP3. The cute story follows Pete the Pilot and the friends he meets as travels to Mexico. Mrs. Martialay is a language educator with many years of experience teaching foreign language, and her background is evident in the way the book is structured. 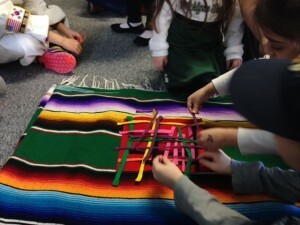 It is full of meaningful activities, reinforcements, and interactive lessons to help kids make connections and absorb the language. I look forward to using this book with my elementary Spanish students this summer for our Culture and Travel unit to Mexico! Would you like to win a FREE copy for your family or classroom? Take a peek at www.polyglotkidz.com and comment and tell me why you would like a copy. A random winner will be chose by March 4. 1. Beach Ball letters: simply write letters all over the beach ball. Games can include simple letter recognition to a variety of spelling games. The ball is tossed around in a circle, as the teacher calls out letters or words. We also use the ball to play ” Papa Caliente”. 2. Loteria: Letter Bingo is a great way to reinforce letter sounds, listening comprehension, and pronunciation as they must say the letters aloud as they look for them and if they win. 3. Letter Mats: You can use pre-made letter cards, or simply make large letters cards and laminate. Place mats all over the floor and do a variety of kinesthetic activities: freeze dance ( name the letter they are standing on), give actions and kids must jump, march, skip, clap, dance around the letters. Play 4 Corners ( this is a favorite! ), change the letters in the corners so kids get a variety of letter reviews. Mix up mats and time the students as they put the letters in ABC order. Place letter mats on floor in a mixed up order, and play “Matamoscas” using the fly swatters. Fun, simple activities to get kids speaking Spanish! This Spring the Bilingual Fun kids have been focusing on the Spanish alphabet and learning various vocabulary pertaining to each letter. 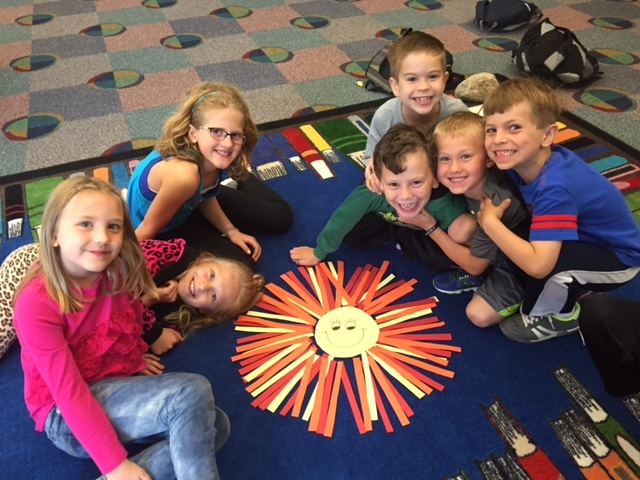 This week with letra S, the kids completed many communicative activities using el sol. This is a very simple activity, but provided lots of opportunities for the children to speak Spanish. 1. Los rayos del sol were hidden throughout the room and kids had to quickly find all of them. Getting up and moving is a necessity with our lessons! Kids had to count the number of rayos they found and report back ‘ yo tengo 15 rayos, yo tengo 10 rayos’. etc. 2. The children were asked to decorate el sol depending on which color they had… los rayos amarillos, los rayos rojos, los rayos anaranjados. 3. As a group, we counted the rayos and divided them by color. 4. Then we did a math problem using the large numbers. This enabled the kids to practice both their Spanish vocabulary and math skills. 5. Then we did various TPR action pertaining to el sol y hace sol. What type of things can you do when it is sunny and hot? TPR examples: nadar en el aqua, comer el helado, usar la crema protectora, llevar los lentes del sol, jugar volibol, hacer un picnic, etc. Bilingual eBook Series for Kids! I always love finding great resources for teaching Spanish to children, therefore I was very excited to have the chance to read some of the new bilingual stories from Spanish Missy! Spanish Missy is a fun eBook series designed to teach your kids language the natural way. Currently Spanish Missy has 4 published bilingual books available as an e-series. (C-Colors; D- Days of the week; N- Numbers; V- Veggies). These are in English/Spanish and allow a child that is learning English or Spanish as a second language to be exposed to the language. 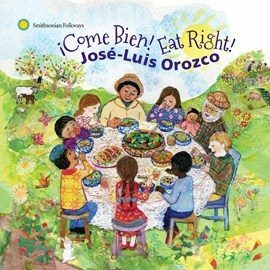 These books have cute illustrations and storylines, in a bilingual format, along with interactive questions to help reinforce the learning! These would be a great asset for families and teachers that are helping their children to learn Spanish or English as a second language! Go over and visit Spanish Missy’s website and sign up to receive a FREE copy of an eBook for your family! Join Bilingual Fun for an exciting summer of Spanish learning opportunities! This summer we will be offering our popular day camp with the theme of Under the Sea / Bajo del Mar! Kids will have a blast learning about sea life and sand creatures on the beaches of Latin America, as they learn Spanish through music, movement, games, crafts, and more! In addition to day camp, we are offering several different options for parent/child classes, as well as preschool and elementary drop off classes. Keep the Spanish learning alive this summer with fun, educational and interactive Spanish classes! Be sure to visit our Facebook page and Classes page for more info! To register, please contact info@bilingualfun.com. 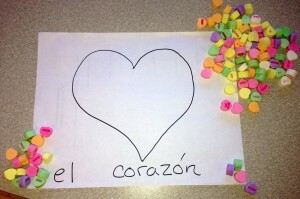 Valentine’s Day is a great holiday for practicing Spanish vocabulary and encouraging communication. 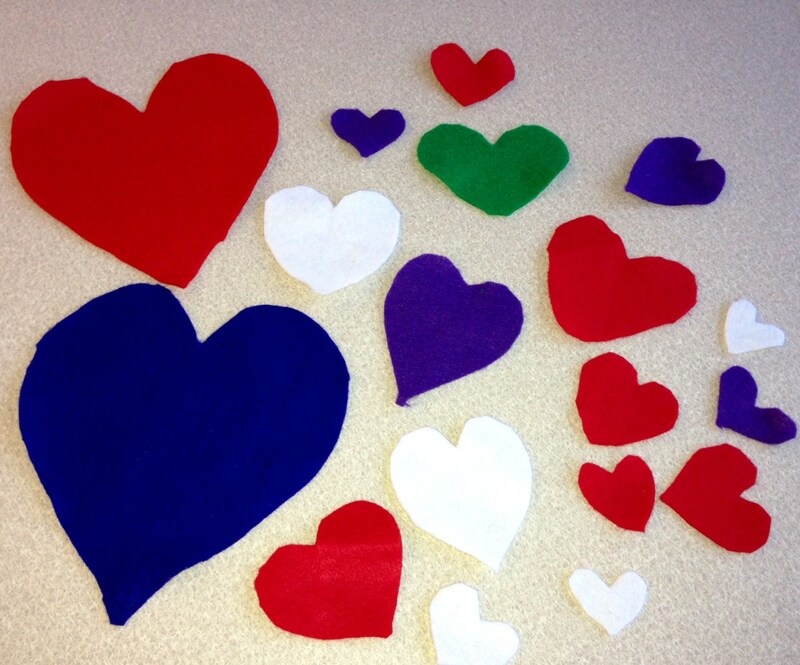 Here are 3 very simple ( hardly any prep), quick Valentine activities to use with children learning Spanish. They can easily be modified for different ages and ability levels. ¡ Feliz Día de San Valentín! ¿Cúantos tienes en total? ¿Cúantos corazones son grandes, medianos, pequeños?, etc. 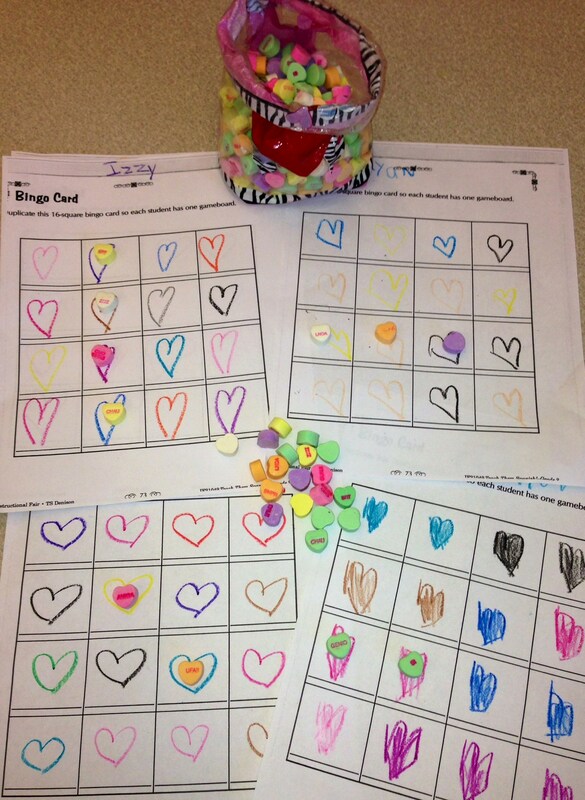 Give children blank bingo sheets and have them fill in all of the squares with los corazones de colores diferentes. Use candy hearts as the coverings and call out colors. 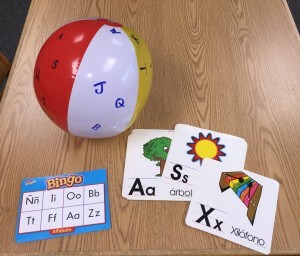 When a child gets a bingo, encourage kids to communicate using phrases such as ‘ yo tengo un corazón rojo, un corazón verde, etc”. With older students, you can have them also fill numbers in the hearts and give math problems the questions ” Cinco por nueve son ?”. 3. 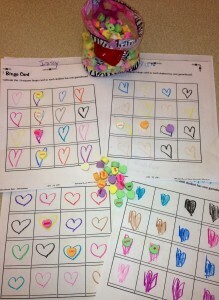 Una Estimación- How many hearts will fit? Draw a large heart and have small candy hearts on hand ( heart stickers or small pom poms work well too). Ask children to estimate how many hearts it will take to fill up el corazón. Kids really enjoy guessing the numbers and then count as a group as the heart is filled. This is a great practice for larger numbers diez- cien. During this session of Bilingual Fun, the students are having fun ‘ traveling’ to a variety of Spanish speaking countries. This theme gives lots of opportunity for realistic learning and the kids are able to use their vocabulary in context with many different activities. 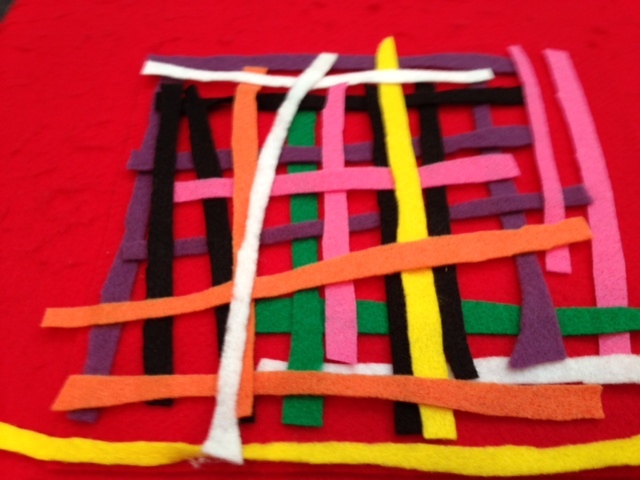 We had a great time traveling to Guatemala and learning about los mercados y el arte de tejer. 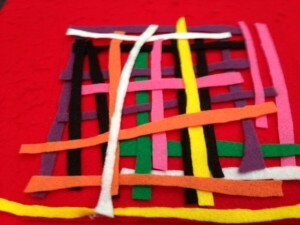 The kids created their own ‘tapete’ using colored felt and lots of Spanish conversation was practiced reinforcing colors, counting, sizes, etc. Here are some pics of our hands on Spanish fun!